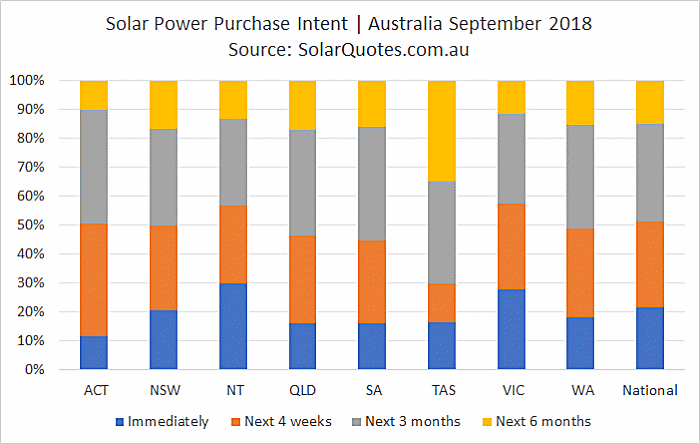 There’s no slowing Australia’s home solar revolution it seems, with September seeing even more Australians looking to take control of their electricity bills via our service here on SolarQuotes. Here’s what prospective solar buyers were wanting last month. Interest in big systems (6kW and greater) continued to ramp up, accounting for 53% of quote requests where a system size was specified. 5kW system interest continued to drop back, down to 32%. Looking back at October 2017’s report, 5kW made up 54%, so it’s been quite a change since last year. 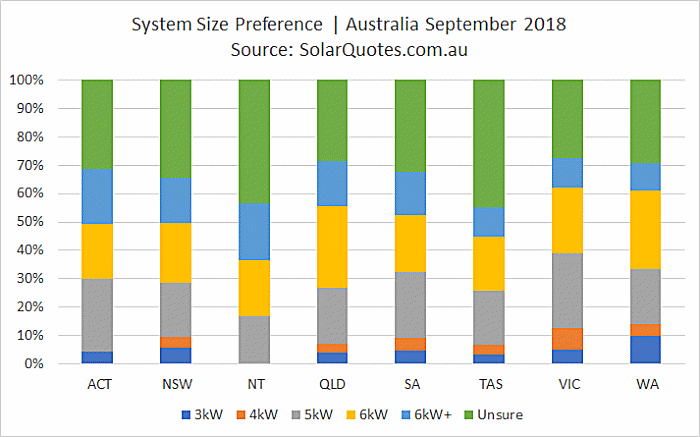 A whopping 21% of Australians using our service indicated a desire to install solar panels immediately, up quite a bit on August (18%), July (16%) and June (17%). Overall, 85% indicated they wished to have a solar power system installed between right now and three months, just up a little on August’s figure of 84%, but continuing to climb. As has been the case during the year or so we’ve been publishing the auSSII, the issue of price vs. quality remains fairly static. Around 80% were wanting quotes for systems that were “a good mix of quality and price” last month, 12% were wanting a “top quality (most expensive)” system and interest in a “good budget system” interest was around the 7% mark. As in August, battery-ready system interest in September was a tad over 30%, which hasn’t changed a great deal since June. While most solar power systems are in fact “battery-ready” (depending on how you define the term), we ask a question on our quoting form in relation to future interest in battery storage systems as this can impact on system design. In terms of a concurrent battery storage installation, this crept up again from August’s 7% to approximately 8% in September. 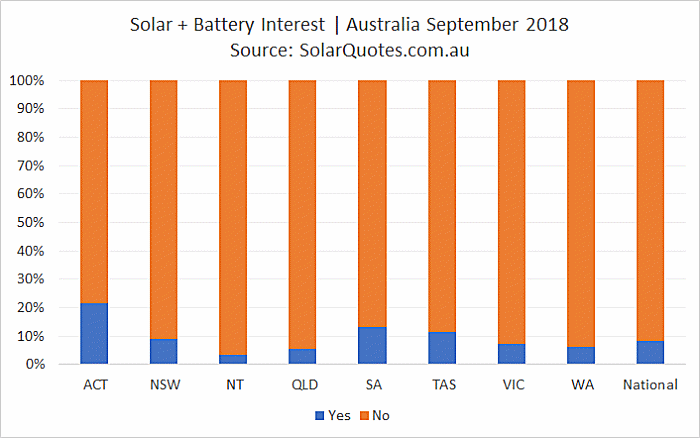 There’s no doubt there’s a lot of interest in batteries generally in Australia and some uptake figures bandied about have been quite high, but from our neck of the woods that appears to be more associated with retrofits. 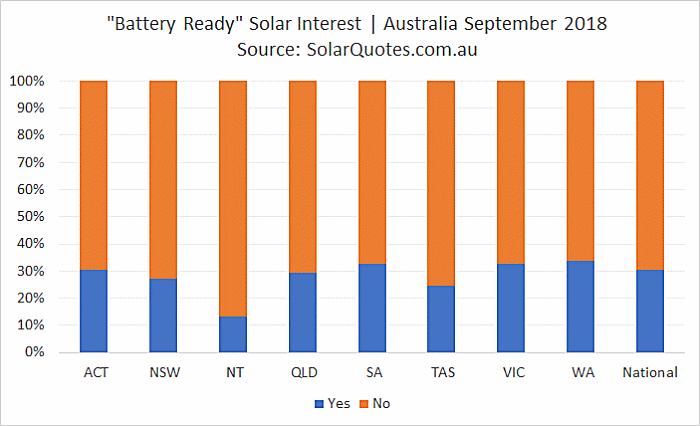 A spike in battery interest is expected in SA this month with the launch of South Australia’s battery storage subsidy, which SQ’s Ronald has written more about here and here. 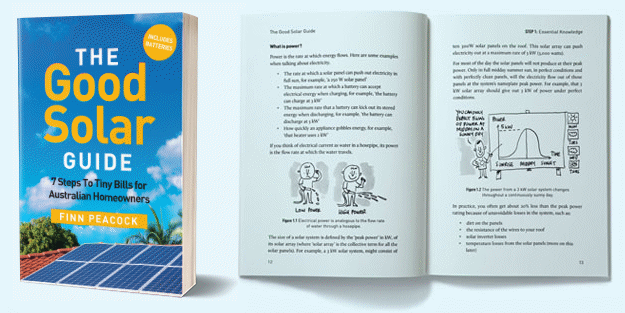 SolarQuotes’ founder and author of the Good Solar Guide Finn Peacock appeared on ABC Radio Adelaide’s Afternoons program to discuss the subsidy a few weeks back. 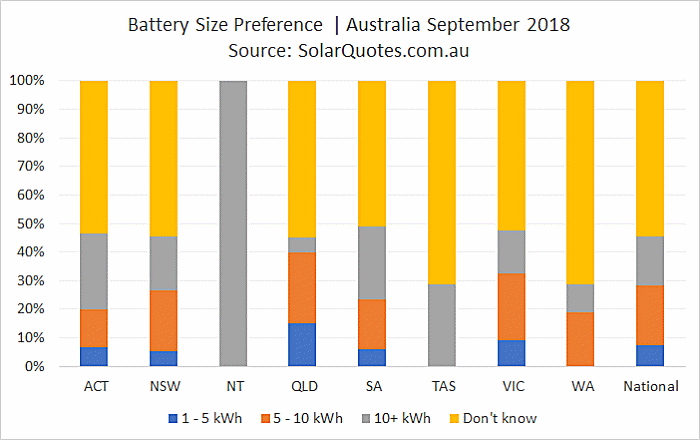 In September, 38% of Australian wanting batteries and with a capacity in mind asked for pricing on 10kWh+ storage systems, well up on August’s 30% and back to the level of July, while interest in 5-10kWh capacity range dropped off to 46% (49% in August). 54% of overall solar battery related quote requests requested guidance on capacity/size, (August 56%, July 59%, June 57%). 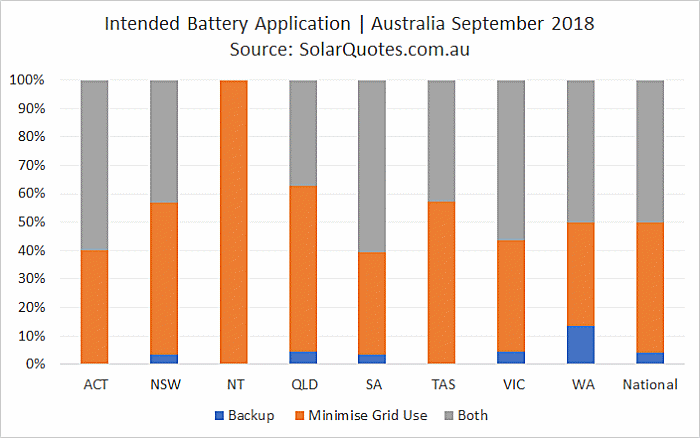 Remaining in the 2% – 4% range since starting the auSSII were those wanting to install solar batteries primarily for backup purposes (4%), while 46% said a battery’s primary use would be minimising grid electricity use (49% in August) and 50% for both (48% August). What Are Australians Paying For Electricity? 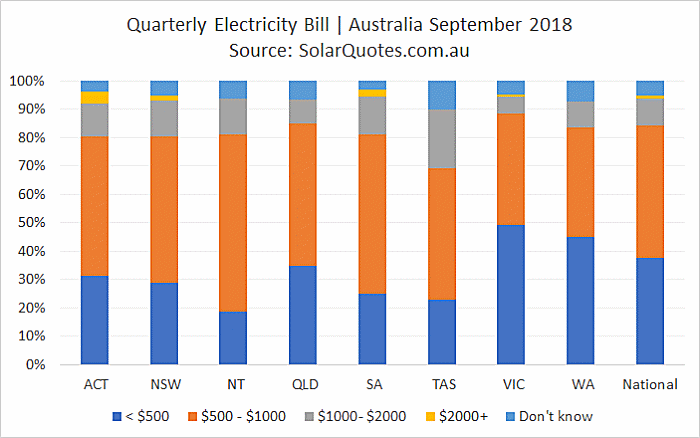 Again in September, 46% reported quarterly electricity bills averaging $500 – $1,000 and 11% reported they were paying $1,000 or more (up 10% on August). Just 5% said they were unsure of what they paid on average per quarter – quite a drop from August’s 7%. With electricity a major expense these days, it’s little wonder Australians are taking more note on what they are shelling out. Information contained in the auSSII report is drawn from quote request details of thousands of Australians who use our free service each month. 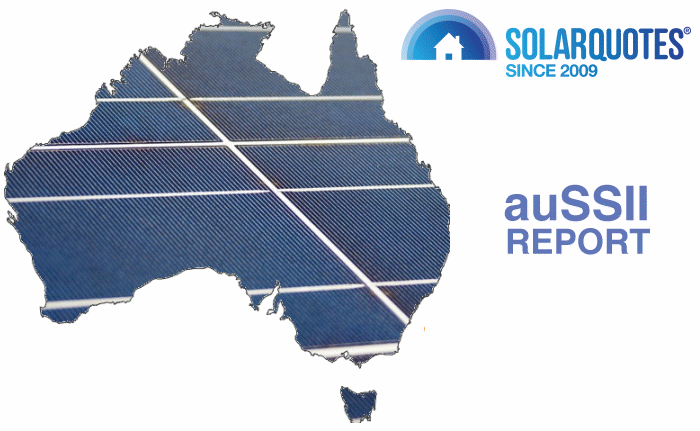 If you’re wanting to rein in your electricity bills and perhaps even push them down to zero, submit your details to receive up to 3 obligation-free quotes from Australian solar installers in the SolarQuotes network, all of which have been thoroughly pre-vetted. Installers will be matched to your requirements. 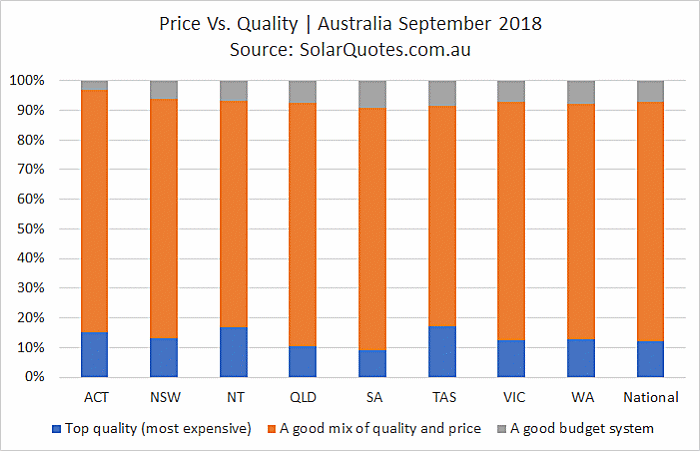 Not all Australian solar quotes are equal – installers need to be careful how and where they source leads. We’ve been providing quality leads to quality Australia installation companies since 2009 – discover more about our solar sales lead generation services. You’re welcome to reproduce any content from any auSSII report, but we require the page from which you source material from is acknowledged in your reproduction.